This week’s blog is about thermoregulation! If you need a reminder, thermoregulation, according to the biology online dictionary, “[pertains} to the way organisms manage heat within them”. For example, humans like us, are what are called endotherms. This means that we are usually slowly exchanging heat with the environment and have high metabolic rates. Of course, this is all a comparison to the opposite end of the spectrum: ectotherms. Ectotherms are usually smaller than endotherms, exchange heat rapidly with the environment, have a low metabolic rate, and usually don’t have a lot of insulation. In the graph above, they compare a warm-blooded bobcat to a cold-blooded snake. As you can tell, the bobcat maintains a relatively stable body temperature the entire time, even if the ambient temperature increases. The snake on the other hand, drastically increases in body temperature as the ambient temperature increase. It is a very strong positive linear relationship. My lab partner and I decided to do an experiment of our own! We wanted to compare two factors! An ectotherm (Iguana) and a endotherm (Rat). We wanted to compare these factors because their bodies work completely different from one another. We could have done something way more specific, like comparing two endotherms on different backgrounds. One endotherm could have been a lion while the other could have been monkey. The lion would have most likely gotten a yellow/orange background to blend in with it’s safari habitat, whereas the monkey would have gotten a green background to represent the leaves in a dense and green rainforest. In one peer review article titled Monkeys eat fats and carbs to keep warm, University of Sydney researchers discussed the discovery that when provided with the same foods all year round, “the monkeys ate twice as much energy in winter compared to spring. Remarkably, the additional intake in winter came entirely from fats and carbohydrates, with protein intake remaining the same”. This are other factor that could have been experimented by using thermoregulation. However, for this lab, my partner and I needed to create something way less complicated. Of course, we didn’t have the time, nor the access, to deal with real animals. Aluminum foil, a heating lamp, a thermometer, cotton balls, and tape, would have to suffice. We wanted to compare an endotherm to an ectotherm and look at the their heating and cooling curves after 10 minutes each. We chose animals relatively close to size; an iguana for our ectotherm and a rat for our endotherm. An iguana spends a lot of its day basking in the sun, while rats spend a lot of their days underground or hiding in dark places. Our hypothesis was: Ectotherms will cool down quicker than endotherms. However, before we did our experiment with our “animals”, we conducted a standardization of thermoregulation experiment. To do this, we simply took a cube of aluminum foil and put it under the heat lamp whilst having a thermometer inside the aluminum cube. We measured the initial room temperature and then continued to measure the temperature every minute until it reached a relatively stable temperature (in celsius). This took seven minutes. Voila, we had our heat curve data! We then proceeded to the cooling curve. Right when the seven minutes ended with the heat lamp, we turned it off and recorded the temperature every minute until it stabled out. We did this for seven minutes as well. With both of the data, we were able to create a scatter plot to show a better visual representation of our experiment. Here it is! As you can see, the heating curve is positive and linear whereas the cooling curve is negative and linear. Now on to the real experiment! For our iguana (ectotherm), we built a a cylinder out of aluminum. We then took the room temperature as part of our data and then stuck a thermometer inside the “animal” and put the entire thing under a heating lamp. We then started taking the temperature every minute until it stabilized. It began stabilizing around 10 minutes. My partner and I also did not want to go very much above 10 minutes, in fear for not being able to finish the lab on time. After the 10 minutes were over, we quickly turned off the heat lamp and began recording the temperature every minute for another 10 minutes. This would give us our cooling curve of our iguana. These were our results! As you can see, the Iguana cooled down relatively quickly. It dropped a whopping 2.7 degrees Celsius in a matter of only 10 minutes. Now lets see its competitor, the endotherm! We did the exact same thing except the aluminum “animal”, our rat, was stuffed with cotton balls since it has more insolation than the iguana. Here were our results for the rat! The endotherm only cooled down by 2 degrees Celsius! That’s a 0.7 degree Celsius difference between the two! Generally speaking, by looking at the data, our hypothesis was right! However, we can’t speak generally around here. We have to speak like scientists. Since we only compared two variables, the ectotherm versus the endotherm, we are able to use a t-test. To do the t-test, I asked excel to do a t-test equation. I did this by giving it my row of cooling data from the ectotherm and comparing it to the row of cooling data from the endotherm. After that, I also stated that it was a two-tail test. In the end, it gave me the p-value of 0.782686. OUCH. For an experiment to be significantly significant, it has to be below the p-value of 0.05. This was most definitely not the case. Though our eyes see something different, the math proves us otherwise. The difference in cooling between an Iguana and a Rat is NOT statistically significant. Our thermometer went by measurements of 0.5 degrees Celsius. This is not precisely accurate. Along with the significant digits, the thermometer can show a different reading based on the angle you look at it with, which eye you close, if any, etc. 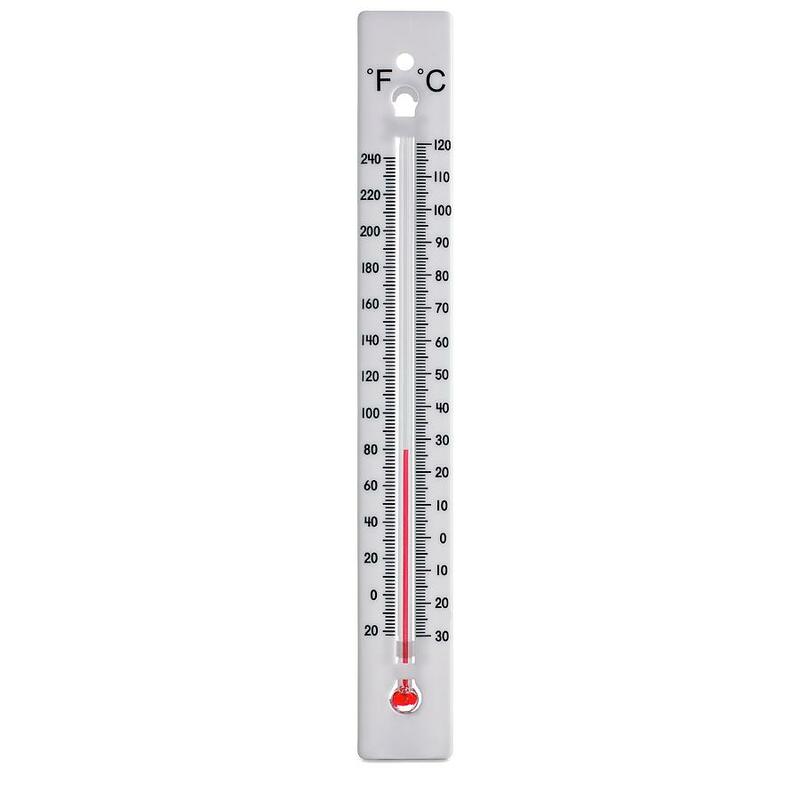 Even though I was the only one doing the readings in order to be a little more precise, I found it very difficult to read the thermometer clearly every time. Another human error was the room temperature. We noticed towards the end of the experiment that our room temperature data looked a little wacky. For example, when you look at the scatterplot graph for the endotherms, you can observe that the heating curve actually lowers in temperature. This isn’t normal. Our guess is that we accidentally held the thermometer in our hand before starting the experiment. Although it did not heavily effect the results, it is still something completely wrong and out of wack with everything else. To improve this in replication, a temperature gun would be needed. Replication of any experiment is extremely important. One experiment does not finalize a theory or hypothesis. If we were to replicate this experiment again, we would spend way more time collecting data, use a temperature gun, and make way more precise measurements of the sizes of both of our aluminum “animals”. While this was a fun lab, my partner and I would redo it if we could. I have a feeling we had a little too much human error and would like to do redo it properly. As always, see you next time! University of Sydney. “Monkeys eat fats and carbs to keep warm: Golden snub-nosed monkeys adjust nutrient intake in winter.” ScienceDaily. ScienceDaily, 8 June 2018. If you have not read my previous blog called “Bugs in Manhattan, Ant Picnic Field Sampling, Predation of Bird Nests, and Challenges in Urban Ecology” (long title, I know…), it might be better if you do so. This blog might be confusing otherwise. After spending time outside and collecting all the ants that showed up on our baits, our professor euthanized them so we would be able to count up the total number. Every group did this. In the end, we would be able to have a class data set. This turned out to be very different than I expected. My group was already surprised we had 86 ants on a cookie, considering we barely had any ants anywhere else. 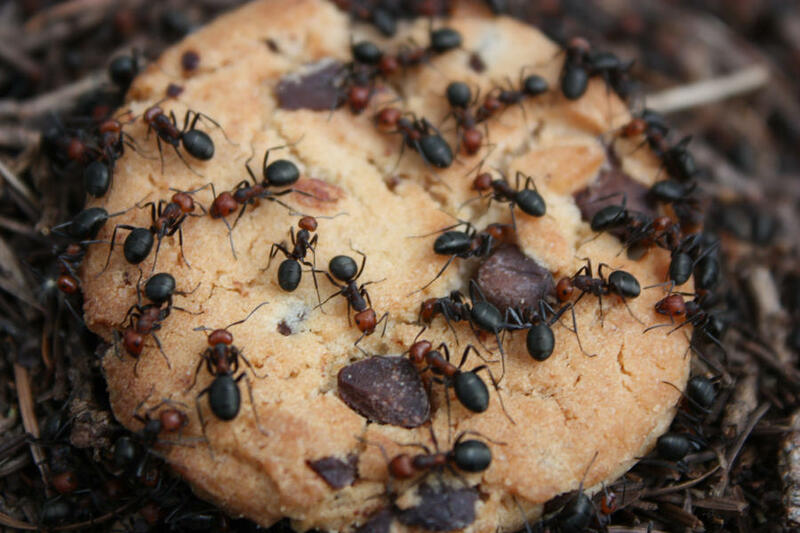 You should’ve seen another group’s… One group counted 400 ants on a piece of cookie! This was our class data! To make it easier to see, I cropped out some less important information like the group name, location, year, latitude, and longitude. As you can see, every group had at least one site that was successful for the cookie bait. For reference, my group was the first four sites. Group two’s site 2 was most definitely liked with a whopping 400 ants on their cookie! My group on the other hand, only got a maximum of 86 ants on our cookie. This was at our site 4. We didn’t do anything wrong. It just depends on the location! Maybe there was an ant nest near group two’s site 2. Maybe their cookie was on the ant’s path. Anything could have happened for a group to obtain way different data. Many other things affect why an ant might go for a certain type of food. The time of the day, the type of ant, the nutritional needs of the colony, the weather, etc. For example, one peer reviewed article called A Carbohydrate-Rich Diet Increases Social Immunity in Ants by Kay, Adam D., et al. states that “diet macronutrient composition affects immunity gains that arise from social grouping . . . ants in worker groups survived longer when reared on a high-carbohydrate diet than those reared on a high-protein diet”. With this being said, that doesn’t mean that every colony will be this way. According to National Geographic, more than 10,000 species of ants are known. Every species is different and could require different needs. By using a bar graph, you can easily tell which baits were preferred over the other. Cookies were liked the most, then oil, then salt, then sugar, then amino acid, and lastly water. Really, the only important thing to look at is the P-value. If the P-value is below 0.05, then there is a significant difference. If it is above 0.05, then there is no statistical difference. In this case, there is a significant difference since the P-value came out to be 0.03! In week four, my prediction was about the same as the results we received. However, I did not see oil being the second most liked bait. Based on the previous years, I should have expected it though. However, in the year 2016, the ants really seemed to enjoy the sugar. This year, sugar was the fourth liked out of the six. Weather could have been a factor that changed the ants’ need for certain baits. Along with weather, location is everything. Even though each group should have had two sites at mostly green areas, those green areas could be near a high percentage of impervious surfaces. This can skew data really quickly. Overall, how does visually representing data help analyze and comprehend data? Personally, I am an auditory and visual person. So from personal experience, I know that studying a subject by using pictures or diagrams helps much more than just reading about it in a textbook. For example, videos really help me because it’s both visual and auditory. Did the bar chart above help visualize the experiment more than simply the excel spread sheet? Some people could care less about pictures and are simply auditory learners, but a lot of people need to see something to really understand it. In ecological processes, it is very necessary to show bar graphs or any type of graph to show the different point of views. Scientists need to show the general public about problems in the environment by appealing to the audience themselves. They will not be able to do this by handing them a 200 page paper. They will most likely grab people’s attention by representing the situation visually with graphs and pictures. We really are kindergartners at heart. We just like pictures. Of course, this is easier said than done. In my very first blog, I talked about science communication. Science is not always easy to communicate. It is very complex, especially certain subjects. However, a scientist isn’t a good scientist if he can’t explain what he’s working on to other people, easily. Though this is a tough goal to master. Since science is very complicated with many exceptions, the brief summary is not always accurate nor the best way to present something to the public. This is why it is so necessary for the general public to know the fundamental basics of science. Without it, everything is much more difficult to understand. My advice to anyone who is joining the science field . . . do NOT slack on the basics. The basics of science should be known by everyone. An example would be the metric unit. Even though Americans don’t use this system (for some stubborn reason), the rest of the world does. It’s actually very simple to use since everything goes by tens. That’s just one of many things people should know. So as a very brief summary: 2018 ants like cookies, my lab was statistically significant, and visual learning is very important. I hope that wrapped it up well! “Ants | National Geographic.” National Geogrpahic, 24 Sept. 2018. Kay, Adam D., et al. “A Carbohydrate-Rich Diet Increases Social Immunity in Ants.” Proceedings: Biological Sciences, vol. 281, no. 1778, 2014, pp. 1–6. JSTOR. Today’s blog is going to be all about urban ecology. So if you don’t remember what urban ecology is, let me remind you. According to an international scientific journal called Urban Ecology on the website of University of Indiana Southeast, urban ecology is “…the study of ecosystems that includes humans living in cities and urbanizing landscapes. It is an emerging, interdisciplinary field that aims to understand how human and ecological processes can coexist in human-dominated systems and help societies with their efforts to become more sustainable”. Cities and suburbs are everywhere! Though they are very practical since everything is close to one another, it can put a huge dent in our planet’s health. Though most people know that we are directly hurting the environment, they usually don’t notice small specific things like changes in animal behavior, animal diet, species abundance or lack thereof, etc. One article from the New York Times called Bugs in Manhattan Compete with Rats for Food Refuse by Nicholas Bakalar, is a good example. In this article, the author discussed the obvious fact that rats are very abundant in big cities like New York City, but also stated that most people don’t think about the smaller organisms, like insects. Bakalar discusses the job of researchers during the summer of 2013; “researchers working in parks and on street medians in Manhattan measured temperature and humidity and sampled the population of arthropods – ants, millipedes, mites, spiders, and others”. They discovered that “on a third of the street medians, insects ate 100 percent of the caged food”, even if the area had been flooded by a natural disaster. According to the researcher’s findings, potato chips and cookies were preferred by all animals in general. So people usually freak out about rats, but they’re not the only animals eating the food on the busy streets. I personally think the fear of rats has something to do with the way movies portray them and the simple fact that they’re known for transmitting diseases. Other than that, I think they are very cute animals. Similarly, I did a lab where a group of people and I observed ants when given different sources of food. Basically, we chose 4 different sites (2 mostly green, grassy areas and 2 mostly pavement areas) and put out 6 different types of liquid food for the ants (with the exception of sugar): water, oil, sugar (a cookie), salt, and amino acids. After placing these foods at each location, we waited about an hour for each site. The whole purpose of this was to see where we could find the most ants. Would it be in the grassy areas? The pavement areas? What food source would they like best? Does the temperature of the ground have an effect on where ants go? Does the weather outside hinder the data day by day? Unfortunately, we couldn’t spend weeks gathering data so 1 hour would have to suffice. Even though it was a beautiful sunny day outside, my group and I did not gather up a lot of ants. I personally think that was due to the lack of time. At our first site, a piece of a cookie from a random person was left on the ground for who knows how many hours, and it was covered in ants. I moved it far away before laying down our food supplies. I had a very strong feeling our cookie would be covered when we came back to the site but we did not have a single ant on the cookie…or pretty much anything. Was this due to the other cookie being there first and they had enough? Was our food not outside for a long enough time? Does the time of the day matter? Heck, does the type of cookie matter??? Everything and anything could matter and that’s what is so hard about working with science. What I found really interesting was that the Bugs in Manhattan Compete with Rats for Food Refuse article stated that “potato chips and cookies were universally preferred”. This is very similar to what I found with my lab too! The little amount of ants that we did have were mostly attracted to the cookie and the amino acid! However, there are quite a few differences between my lab and New York City streets. The food on the streets of New York City are outside for hours. Ants and other arthropods have an “unlimited” amount of time to go get their food. In my lab, we had to cut the experiment short at 1 hour. In New York City, there is barely any greenery around. Thus, all the surfaces were either 100% impervious or very close to it. In our lab, only two of our four sites were mostly impervious. So as have probably already guessed, ants can easily adapt to any type of environment, whether it be suburbs, to a big crowded city, to even a desolate rain forest. In general, I believe small organisms that do not require an immense amount of energy can adapt to the city life. On the flip side, I think big wild animals like bears, lions, tigers, elephants, etc. would not adapt well. Thank god. Can you imagine a 6 ton elephant crossing the cross walk? Or a tiger stalking its prey right next to your favorite restaurant? These animals require far too much energy and independence to thrive in this type of environment. So in general, humans need to be observant of their environment. Though cities are pretty much a necessity at this point, there are ways we can improve their functions to help out the environment. This includes implementing more nature-like attractions, like parks. We could also educate the public about ecology in general and how it impacts their daily lives and how a person’s footprint effects the earth. Another topic studied in urban ecology was the effect urbanization has on predation of bird nests. So does urbanization affect predation of birds nests? Does it have nothing to do with one another? Does it have everything to do with one another? According to a scientific journal by Vincze, Ernő, et al. called Does Urbanization Affect Predation of Bird Nests? A Meta-Analysis, a true conclusion cannot be made. They studied some possible reasonings behind low or high predation rates like: “larger species are often less tolerant toward high human density … [and] domesticated predators, particularly cats, are often found in extremely high abundances in urban and suburban areas, and increase the risk of predation for avian species”. These are very few examples, but you get the point. What I found interesting about this study was the fact that their was not a strong correlation between urbanization and the rate of predation against bird nests. When I first looked at this article, I thought for sure that nests would be safer in cities due to their being less wild animals. However, I did not think about all the other abundant wildlife that adapted to the city and prey on bird nests as well. However, I would ask the authors, “Why did’t you make a very controlled experiment to see the results”?. In their research, they kept having exceptions and differentiations between natural nests and artificial nests. Why make them so different in the experiment if you’re trying to compare one another? What you should take away from this study is the fact that not everything is as simple as it may seem. There are hundreds and hundreds of factors that influence something. Especially in nature. Another scientific journal I read was about the challenges in urban ecology. Now this sounds really broad, right? Well, it kind of is and I would honestly ask why the author decided to make this journal so broad. Maybe it’s to make this journal an easier read? Who knows. This journal by Diane E. Pataki called Grand Challenges in Urban Ecology discusses the problems and challenges the human race faces when trying to improve the environment. On thing she states is how “natural and biotic processes that have generally been termed ‘ecosystem services’ must be translated into specific designs and performance elements and metrics at the appropriate scales if ecological approaches are to be successfully used to mitigate population, conserve biodiversity, improve human health, and enhance human well-being”. To put all of that simply, you need to be smart to make the ecosystem go back to normal again. Nature itself is a very complicated system that scientists don’t even fully comprehend yet. One statement that I could not agree more with is: “It’s somewhat ironic that even though many components of urban ecosystems are built by humans, these constructed systems are often poorly understood from an ecological perspective”. I find it interesting that the author does not hesitate to call out our lack of understanding. Being called out on things is one way people get stuff done and I have a feeling this is what Pataki is trying to do here. She also makes sure to state that certain proposed solutions that were once intended to help our environment, may have gotten out of hand and become more of a detriment; “As cities move forward with new, proposed solutions to modern urban problems, even ‘green’ solutions involving enhanced ecosystem services and green infrastructure may lead to unintended consequences when these technologies are implemented at large scales”. Based on the reading, the general public should be aware about the severity of our actions on the earth. Everything we have caused is not always reversible, and even if it is, it is everything but easy. You have many things to think about like the cost, the time it takes, the consequences it has, the population’s opinion, etc. Bakalar, Nicholas. “Bugs in Manhattan Compete With Rats for Food Refuse.” The New York Times, The New York Times, 21 Dec. 2017, http://www.nytimes.com/2014/12/02/science/bugs-in-manhattan-compete-with-rats-for-food-refuse.html. Pataki, Diane E. “Grand Challenges in Urban Ecology.” Frontiers, Frontiers, 26 May 2015, http://www.frontiersin.org/articles/10.3389/fevo.2015.00057/full. “What Is Urban Ecology?” Indiana University Southeast, http://www.ius.edu/field-station/what-is-urban-ecology.php. Vincze, Ernő, et al. “Does Urbanization Affect Predation of Bird Nests? A Meta-Analysis.” Frontiers, Frontiers, 24 Mar. 2017, http://www.frontiersin.org/articles/10.3389/fevo.2017.00029/full. 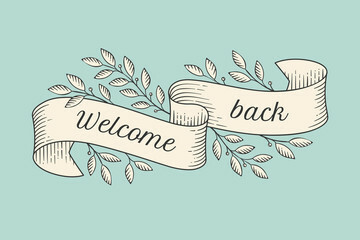 Welcome back to another blog! Today, we’ll be talking about the effects of climate change on phenology. What is phenology may you ask? Well… According to budburst.org, “phenology is the study of the timing of the biological events in plants and animals such as flowering, leafing, hibernation, reproduction, and migration”. To put it simply, it’s like a calendar for nature itself. 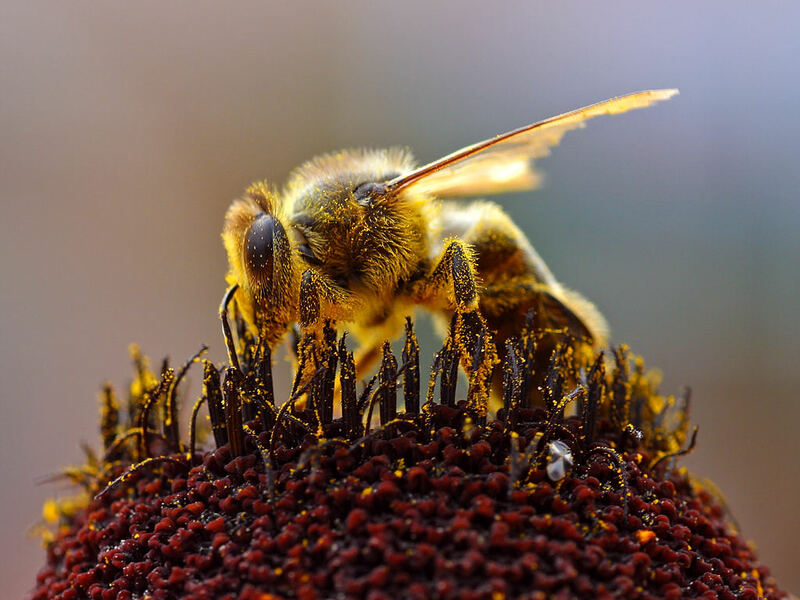 One of the biggest examples of phenology is bees and their job to pollinate flowers. Let’s move on to another organism: Cicadas. You know those bugs that are super loud? Decently big? Have huge eyes? Molt and leave shells everywhere? Seem really dumb and run into everything? Yeah… those are cicadas. Though they may not be the prettiest to look at, they are interesting creatures and fascinating to study. Although there are annual cicadas, there are large populations of cicadas that are called “periodical” cicadas and should only come out either every 13 or 17 years depending on the species. However, recent events showed that some species of cicadas emerged four years early! Why would this happen? Cicadas are sensitive to the temperature of the soil. As nymphs, they rely on their biological clock to tell them when they can emerge from the ground and begin their brief life. According to an article by Knvul Sheikh on the scientificamerican.com called Brood Awakening: 17-Year Cicadas Emerge 4 Years Early, “when the soil reaches 64 degrees Fahrenheit in a given year, they all emerge together. Experts think evolution has favored this strategy as a way of overwhelming predators like birds and squirrels so cicadas can mate frantically and lay eggs before they die in a few weeks”. Normally, like stated above, it takes 13 or 17 years for the cicadas to emerge. However, due to climate change, the soil can increase in temperature way faster than usual. Thus, causing them to emerge from the ground four years (or however many years) early. This causes an imbalance in their reproductive instinct and also effects the wildlife around them. Cicadas are not harmful to humans, but according to usgs.gov, cicada “eggs are laid in slits in twigs, so during large emergences of periodical cicadas they can cause substantial damage to branches of trees and shrubs”. While this in not a ginormous problem, it still has an impact on the environment. A phenologist has to be able to create and comprehend data in order to figure out the problems seen in the environment. Scatter plots are a heavily used form of graphing in the field. For example, I’ll show you my scatter plots from data first recorded by the United Kingdom Meteorological Office on temperatures in three cities ranging from the years 1659 to 2016. For all three of these scatter plots, I used “years since 1659” as my x-axis and the “average temperature (C)” as my y-axis. I did this because the independent variable tends to go on the x-axis while the dependent variable tends to go on the y-axis. On all of my scatter plots, I also included a trend line. All of these trend lines are linear and positive. Meaning, all the scatter plots are showing that over time, the temperature is increasing. The closer the correlation is to one, the more close to perfect uphill linear relationship it is. So in my case, the scatter plot showing the mean temperature from February to April is the closest to being a perfect positive linear relationship. In other cases, phenologists will be comparing a different type of data that relates to both plants and animals. In this next example of mine, I will show you the relationship between the peak flowering times (days since March 1st) in Early Spider Orchids (Ophrys sphegodes), the correlation it has to the first flight of the Solitary Bee (Andrena nigroaenea), and the mean temperature from the years 1848 to 2017. This scatter plot clearly shows the beginning and the end of each variable. For example, if I were to look at 7 degrees Celsius, I could tell you that the peak flowering time is still on going while the first flight of bees has pretty much ended. At 10 degrees Celsius, I could tell you that the peak flowering time had just ended but that the first flight of bees ended 2 degrees ago. Plots like these help visualize the problem rather than just stating the problem with words. Along with scatter plots, bar graphs with error bars are also another way to look at the issue. My bar graph specifically looks at comparing peak flowering times and the years, along with bees first flight and the years. In the beginning of the century (1848-1900), both the bee activity and flowering times are very similar. However, near the end of the century (1954-2006), peak flowering time is higher than bee activity. The phenological consequence would be huge if the flowers kept blooming too early or too late regarding the first flight of bees. Bees would have less reproductive success. Overall, phenology is clearly an important field that needs to be studied constantly in order to predict or currently see the issues in our environment. However, before the issue is even an issue to begin with, the elephant in the room needs to be addressed: Climate change. Climate change, according to UC Davis, “refers to significant changes in global temperature, precipitation, wind patterns and other measures of climate that occur over several decades or longer”. While this has become a much more popular topic recently, thanks to science, it is still an ongoing and pressing issue that some people still refuse to believe. Some people refuse to believe in climate change because of political stubbornness. Politics have torn people in two and now logic is being set aside. Other people have trouble trusting science. According to Aeon, a digital magazine, they have four predictors of either science acceptance or science skepticism: “political ideology; religiosity; morality; and knowledge about science”. Some of these predictors are most likely to correlate as well. For example, a person who is conservative in ideology has a higher chance of also having a religious reasoning. It is hard to communicate to the public about climate change for these reasons. Not everyone thinks the same way and other factors effect people’s beliefs. There is no one solution to address this challenge. Science can only be presented in so many ways. However, subjects could be presented in such a way to grab the audience’s attention. Like my previous blog about science communication, it is all about connecting with the audience on their level of knowledge and interests. To start talking about climate change, scientists or simply passionate individuals can discuss the consequences of climate change on the general public. For example, according to a peer reviewed journal by Ciscar, Juan-Carlos et al. called Physical and Economic Consequences of Climate Change in Europe, the authors discuss river flooding, tourism, human health, and the impact on the overall economy. In their discussion about river flooding, they state that “river floods are the most common natural disaster in Europe, resulting in large economic losses through direct damage to infrastructure, property, and agricultural land and through indirect losses within flooded areas and beyond … Global warming generally is expected to increase the magnitude and frequency of extreme precipitation events, which may lead to more intense and more frequent river floods”. When talking about tourism, the authors state that “climate change has the potential to alter tourism patterns in Europe radically by inducing changes in destinations and seasonal demand structure”. For example, if a bunch of coral reefs are dead off the coast of France, who would want to go there? People go to specific destinations for scenery and if those destinations are no longer pretty enough to people’s standards, they will receive less tourism. Human health is also a huge factor when discussing climate change. According to the journal, “climate change has a range of complex interlinkages with health, including direct impacts, such as temperature-related illness and death and the health impacts of extreme weather events. Other impacts follow more indirect pathways, such as those that give rise to water- and food-borne diseases, vector-borne diseases, or food and water shortages”. In developing countries, this can be a very deadly issue. Last, but most definitely not least, is the impact of the overall economy. Everything mentioned already, like river flooding, tourism, and human health can be linked somehow and over time, effect the overall economy. When the economy is in a bad place, it is very hard to get out, especially if you are dealing with an issue as severe as global warming. To end this blog, I would like to reiterate the importance of both phenology and climate change and how they interconnect with each other. While science may not be everyone’s favorite subject, this is not just another mere fact that you can ignore and never remember again. This is part of our lives. Our daily actions are effecting the environment and thus creating a chain reaction to everything else. 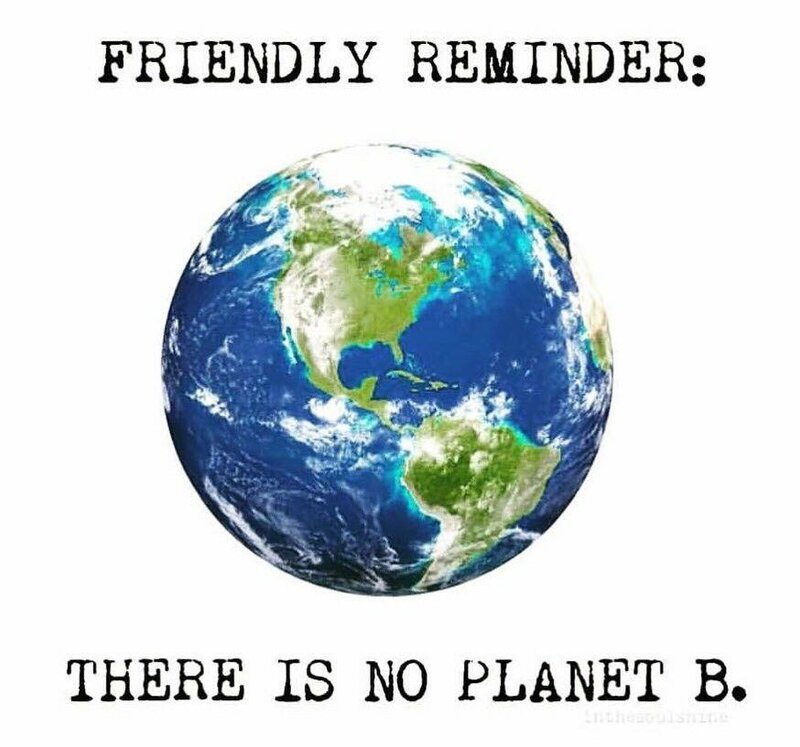 I encourage you to learn more about your footprint on this earth and how we can help the planet from going in ruins at the cause of our own hands. We are one, if not the most intelligent species on this planet. If we figured out everything we currently have today, we can most definitely help fix this place we call home. For my first official blog, we’ll be talking about the importance of science communication! Communication. When you think about it, it is such a general word. We communicate all the time; with people we know, people we don’t know, through text, through call, in person, through facial expressions, through multiple different emotions, etc. According to the Merriam-Webster Dictionary, communication is simply “a process by which information is exchanged between individuals through a common system of symbols, signs, or behavior”. Even if you don’t speak the same language as someone, you still communicate with them if you are using hand symbols, facial expressions, etc. When people think about science, they tend to always picture people in lab coats, working with microscopes, or chemicals. At least that’s what I think of and apparently so does Google when you type in “scientists”. The first couple rows of Google images are exactly that. Although scientists are normal people like everyone else, the general public seems intimidated by a scientist’s work or research. I personally think this has something to do with the way it’s presented. Everything, no matter how complicated the matter is, has to be presented in such a way to fit the type of audience that is listening to the presentation. For example, if someone was presenting a powerpoint on how to perform a quadruple bypass surgery to a group of high school students, the surgeon presenting the powerpoint would need to simplify the process for this specific type of audience. He or she should not use extremely complicated terms, at least without explaining the terms being used. Instead, they should present it simply, but still full with interesting information. This is the entire concept of science communication. According to a Youtube video by EU Science & Innovation called “What is Science Communication? – The EU Guide to Science Communication”, Rhonda Smith, the director of Minerva Communication, states the science communication is “communicating to non-experts”. In order to be a good scientist, communication needs to occur outside of the specific field being studied and outside of the scientist community entirely. As stated from another blogger named Monica Feliu-Mojer in her blog called “Effective Communication, Better Science”, “science communication is part of a scientist’s everyday life. [They] must give talks, write papers and proposals, communicate with a variety of audiences, and educate others”. Feliu-Mojer’s way of describing science communication is similar to the presenters in “What is Science Communication”. Feliu-Mojer, however, went into greater detail rather than explaining the concept like a textbook definition. Rhonda Smith stated that scientific “dissemination is [a scientists] day job”, whereas Feliu-Mojer states that “science communication is a part of a scientist’s everyday life”. While these are quite contradicting each other, they are both right in my opinion. Scientific dissemination is best described as the stereotypical view of a scientist. According to Rhonda Smith, “dissemination is about the production of papers that can be presented to peer review journals and ensuring that those are published”. These peer reviewed articles are what students like me use as research in other papers. Peer reviewed journals simply mean that one scientist’s paper is reviewed and looked over by other scientists in the same field. Both communication and dissemination are important. Dissemination is used for results, whereas communication is used to expand knowledge in the community. Scientists also need to communicate with the public for funding as well. Tax money is usually what funds researches. Therefore, to obtain more funding, the general population should know what is going on and will most likely be curious to know more. Simplifying a subject that is complicated originally is a tough goal to achieve. Everyone’s brain processes and works differently, thus possibly leading to an unclear form of communication between persons. However, this is a task that most, if not all scientists have to master in order to continue on and be successful in their research. Personally, learning effective science communication can only benefit me. Being social with individuals and/or a community about subjects that need to be taught is necessary to become a well-rounded scientist. In another Youtube video by ANU TV called “Alan Alda: Science Communication”, Alan states that “everyone is too ignorant about science. That is what science is about: Science is about satisfying the ignorance we all naturally possess”. In my opinion, I think that Alda is trying to make the point that even though ignorance is in everyone, curiosity is also in everyone. People’s curiosity is what science is all about. Without it, science would have not been a concept. The ignorance of a scientist simply means that some lack the ability to correctly communicate subjects to the public. The ignorance of a general individual simply means that some lack the ability to understand a subject. Both types of people have to work together in order to understand concepts. All in all, communicating in general is very important and beneficial. Without a way of communicating, knowledge could not easily be spread. Most scientists absolutely love what they are doing and cannot wait to share their research or experiment results with someone. Now, there are classes that students take simply to be better at communicating. Who doesn’t want to learn and discover the world and everything around us? To everyone who has read this far, I highly recommend practicing this skill and trying to explain something your’e good at to someone else in a simple, but entertaining way. For example, if you’re good at skateboarding, try teaching someone to skateboard without using skateboarding terms. Bonus points if you teach them using references that they excel in! If you can master this skill about anything you talk about, you have mastered the practice of communicating. You would think that this is such an easy thing to do right? Surprise surprise. It is way harder than it looks.